 Established in Galway in 1985, Brian Lynch & Associates has been in business for more than 30 years. Over the years we have found the key to start-up, viability and economic growth lies within a good solicitor/client rapport. At Brian Lynch & Associates we will strive to ensure that your business, whether in its infancy or enjoying success, will receive one-to-one, unique legal advice delivered to you in an accessible, efficient and cost effective way. As a businessperson you will be interacting with financial institutions on a regular basis and we pride ourselves in the many years of experience we have in debt resolution and restructuring, driven by the latest technological developments. In this fast changing world we respond to all the latest corporate and regulatory changes and can assist and advise you with your concerns on contracts, regulation, intellectual property, Brexit and any unexpected challenge your business may face. Our guidance and experienced legal advice is the type that is expected in the modern business environment and we are accessible and pragmatic in responding to client demands.